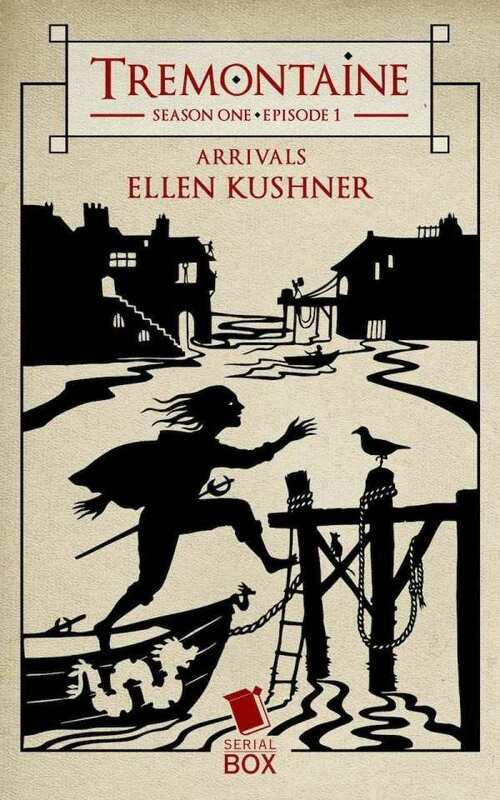 I’m excited for the release of Tremontaine, a serialized, 13-part prequel to Ellen Kushner’s Riverside novels. Judging by an excerpt released Monday on RT Book Reviews, it should be every bit as excellent as Swordspoint, Privilege of the Sword, and Fall of the Kings (the latter co-authored with Kushner’s partner in writing and in life, Delia Sherman). The art looks gorgeous, too. According to the cover reveal on Tor.com, there will be a different cover for each episode, so the awesomeness just increased by a factor of thirteen. As you can tell from the cover above, this is a group project, with Kushner sharing the byline with Alaya Dawn Johnson, Malindo Lo, Joel Derfner, Racheline Maltese, and Patty Bryant. Knowing just a bit of Maltese’s and Lo’s work, I’m sure this group of writers will live up to the standards Kushner set in the original trilogy. Swordspoint introduced diverse sexual orientations into fantasy, and this writing team promises a welcome inclusion of other types of diversity in the world of Riverside. – Read the full excerpt here. Serial Box Publishing will release the first installment of Tremontaine on October 28th. Full details are here. In other Riverside news, Kushner is also at work on the fourth full novel in this series, which will take place “about fifteen years after Privilege of the Sword,” (so before Fall of the Kings). So the series will soon be a tetralogy, or a pentalogy, or something. It’s a great time to be a fan of this writer, who has been such an inspiration for my own historical romance/suspense novel, Daring and Decorum: A Highwayman Novel.